Successful representation of an accounting firm in an SEC enforcement investigation arising out of an audit that failed to detect fraudulent reporting by the company. Investigation closed with no further action. Representation of members of a vacation club in an arbitration proceeding against the club arising out of change in the terms of membership. Substantial settlement of wrongful death claim on behalf of family of deceased driver struck while entering highway from private drive. Substantial settlement of claim by young woman for injuries sustained when her car was struck by a drunk driver. Obtained summary judgment for attorney sued by former client whom he represented in domestic action. Successful defense at trial of religious organization sued for sexual harassment of adult employees by minister. Verdict for organization. Representation of several churches for construction defects in their sanctuaries in claims against design professionals and contractors. Successful representation of a CPA, Registered Investment Advisor in an SEC enforcement action. Campbell v. Adkisson Sherbert Associates, 546 Fed. Appx, 146, 2013 WL 5943518. Fourth Circuit affirms district court decision enforcing a favorable settlement of claims against an auditor, which a private equity fund tried to retrade. CommScope Credit Union v. Butler & Burke, LLP, 369 N.C. 48, 790 S.E.2d 657 (2016) North Carolina Supreme Court held that an auditor does not owe fiduciary duties to the audit client. Earquhart v. Whitlatch, 2015 WL 965817 (E.D.N.C., 2015). Dismissal of constitutional and common law claims against an attorney for lack of subject jurisdiction and for failure to state a claim. Azalea Garden Bd. & Care, Inc. v. Vanhoy, 196 N.C.App 376, 675 S.E.2d 122 (2009). Court affirmed dismissal of all claims (for fraud, breach of contract and related torts) against an administrator of an estate. Altrust Financial Services v. Adams, 70 So. 3d 228 (Ala. 2011). Alabama Supreme Court overruled prior case law and all claims against directors and auditors of a bank were dismissed. Gaston Memorial Hospital Inc. v. Virginia Insurance Reciprocal, 80 F.Supp.2d 549 (W.D.N.C. 1999). Judgment for insurer in coverage dispute in which trigger of coverage was litigated. 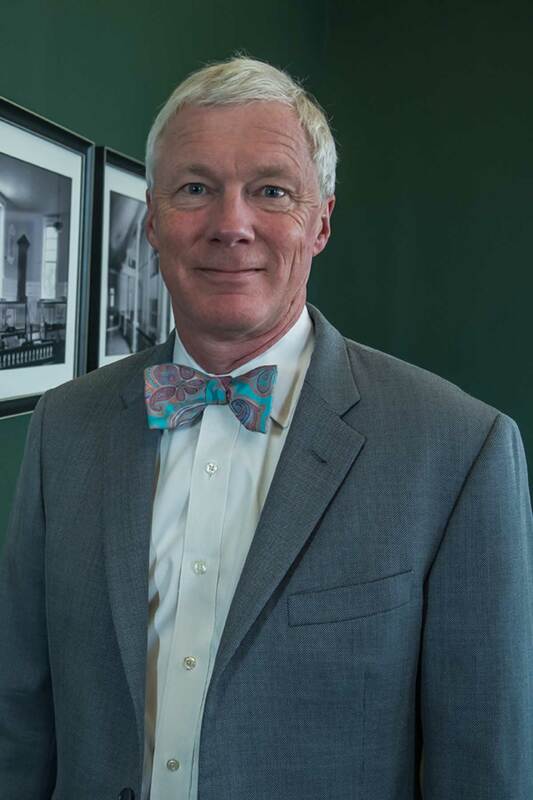 Frederick “Rick” Sharpless brings decades of experience to complex, high-stakes litigation and disputes. Rick has been involved in more than 60 trials, and a number of arbitrations, as the lead attorney, including cases involving major construction defects, serious personal injury, investment and securities fraud, and professional liability. He has decades of experience with financial accounting and auditing and frequently represents accounting firms throughout the Southeast. Rick’s goal is to deliver results where the value exceeds the costs. Because of his extensive experience, he is often able to anticipate the potential costs and course of litigation, which helps clients make better decisions. Prior to co-founding the current firm in 1990, of which he remains the President, Rick was a litigator at Tuggle Duggins Meschan & Elrod, PA. He is admitted to practice in all of North Carolina’s state and federal courts, in the United States Court of Appeal for the Fourth Circuit, the United States Supreme Court and has been admitted pro hac and appeared in courts in Georgia, Alabama, Florida, South Carolina, Mississippi and Virginia. When not practicing law, he can be found on Chestnut Oak Farm, traveling with his wife, Nancy, sailing or sometimes climbing and exploring the mountains and wild places of the world.